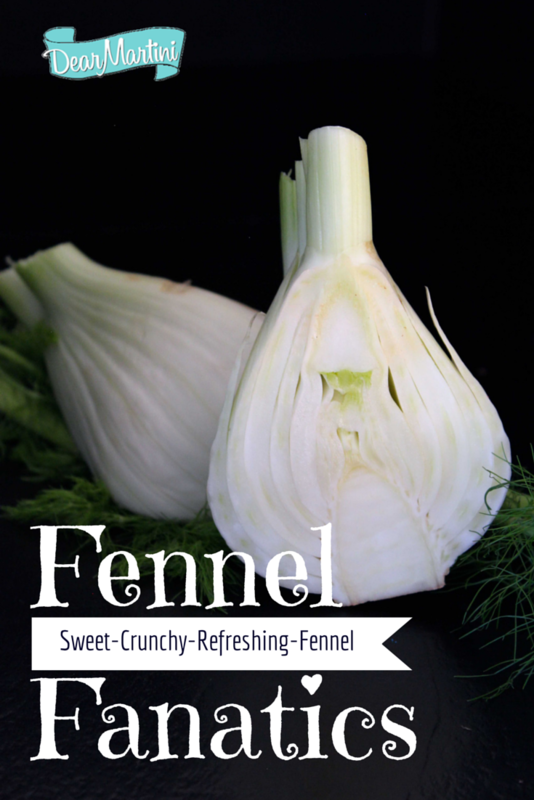 Back in our days teaching at Draeger’s Cooking School, we bonded over our love for fennel. We used to joke that one day we would create a cooking class entitled, “I Love Fennel.” It was a silly idea, but it was certainly a class we would take ourselves. Why do we love fennel so much? It’s versatile, available year round (we are so lucky to live in California), and it goes well with the California/Mediterranean style of cuisine we enjoy. We roast fennel with meats, shave it for salads, braise it or cook it in soups, and even throw it on the grill. It’s sweet, licorice flavor is subtle enough to compliment pork, chicken and fish and goes beautifully into hearty dishes like ratatouille, our Thanksgiving stuffing, or a comforting soup. When raw, it’s crunchy texture lends well to slaws and salads; in fact, one of our favorite salads of all is a simple combination of shaved fennel, shredded carrot and dried cranberries. If you are new to fennel, we suggest you start off with this delicious soup. It’s a hearty soup perfect for cooler months and we hope will inspire you to add fennel to your other favorite recipes. Be sure to click on the blue links to watch our bite-sized technique videos. And let us know what you think! In a medium-sized soup pot, heat the olive oil over medium flame and add the onion, carrot, celery, fennel and garlic. Season with salt and pepper and toss around to coat with oil. Cover and let the vegetable become soft and tender, but not browned, for about 7 minutes. Stir occasionally. Uncover and add the pepper flakes and beans and toss to coat. Cook until the beans are hot, about 2 more minutes. Pour in the stock and bring to a boil. Lower the heat to simmer and add the Parmigiano rind, if using. Simmer for 15 minutes, covered. Uncover and add the kale. Stir to combine the ingredients and simmer, covered, for another 8 minutes, or until the kale is soft and tender. Taste and season with more salt and pepper if needed. Ladle into warmed soup bowls, top with cheese and serve hot.